Thai Election: Can Shinawatras keep it in the family, again? Panthongtae, or "Oak", Thaksin's 39-years-old only son, is the latest Shinawatra to be standing for election. Will it be on March 10? Or March 24? After May 7, maybe? 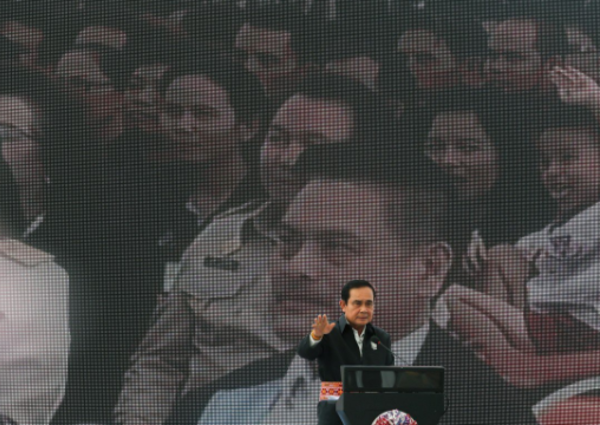 The guessing game on when Thailand's dithering military junta will hold long-delayed elections has the country's political class gritting their teeth - some even contemplating public protests in Bangkok this weekend over the matter, even at the risk of arrest. With a top junta official on Thursday giving the firmest indication yet that the military rulers hope for polls on March 24, analysts say they are contemplating a deeper question: when the elections are eventually held, will the Shinawatra clan - triumphant in every electoral contest since 2001 in the coup-happy kingdom - emerge victorious once again? The Pheu Thai party machinery, loyal to former prime ministers Thaksin and his younger sister Yingluck Shinawatra, has been purring since December when the military rulers' lifted a ban on political activity. But observers are no longer quite so sure about its popularity or tactical prowess. Its strategy of employing pro-poor policies along with banking on the Shinawatra family name - by fielding members of the clan - could backfire, long-time Thaksin watchers like Duncan McCargo say. There is also scepticism at the Shinawatras' latest strategy of spreading their loyalists across three different parties - Pheu Thai, Thai Raksa Chart and Pheu Dharma. The faction is expected to face a tough fight from the Palang Pracharath Party, a pro-junta outfit which has hinted it may choose current junta leader Prayuth Chan-ocha as its prime minister if it wins the election. Along with that challenge is a new constitution that heavily stacks the odds against large, populist parties like Pheu Thai. "It's really time the Pheu Thai party matured into a more diversified and mature party that operates less like a family business, otherwise it will struggle to maintain its former electoral dominance," said McCargo, the author of The Thaksinisation of Thailand . On the three-party strategy, McCargo said he was unsure about whether it was deliberate in the first place, pointing out that "the three parties all reflect different elements of the old pro-Thaksin alliance and are not necessarily operating in concert". 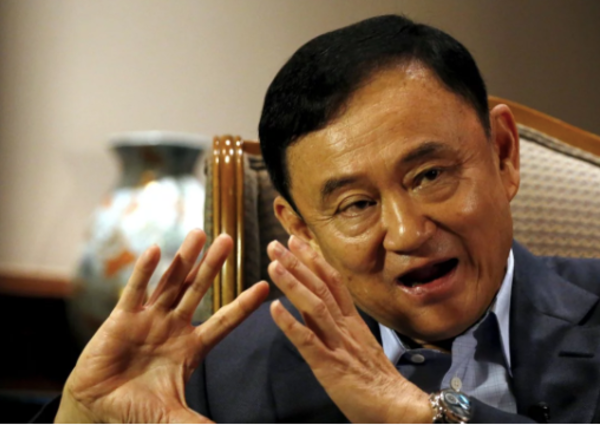 Thaksin himself is the centre of the movement, having founded it two decades ago. Even after his ousting as prime minister in 2006 through a coup - the first of two putsches in the last two decades - he wielded significant clout, as first his brother-in-law Somchai Wongsawat, and then Yingluck, were installed as premiers. In the coming polls, a new Shinawatra will stand for elections under the Pheu Thai banner: Panthongtae "Oak" Shinawatra, Thaksin's 39-year-old only son. In the newly formed Thai Raksa Chart party, an outfit so linked to Thaksin that it is "essentially Pheu Thai" according to local political observer Thititan Pongsudhirak, one of the candidates standing for elections will be Chayika Wongnapachant - Yingluck's niece. Yingluck and Thaksin live in exile overseas to avoid jail because they were convicted in absentia over a slew of charges brought on by two separate juntas. McCargo said "while Yingluck was a huge electoral asset who won support from voters and established good relations with the military and establishment, it's unclear that Oak would be able to do any of this". Others say the party has little choice but to milk the political capital of the Shinawatra brand as the junta openly tries to push it out of Thai politics. The two putsches in 2006 and 2014 are viewed as failed attempts to get rid of the movement, which banks on support from the upcountry, Laos-influenced northeast of Thailand. The royalist, urban elite on the other hand revile the Shinawatras and are perceived to have been supportive of the coups against them. The latest move against Pheu Thai is the new country's new election rules: the senate will be stacked with military appointees for five years, and the lower house now has amended rules on proportional representation that is likely to disadvantage a major party like Pheu Thai. In such a scenario, Pheu Thai could do with all the help it can get to make sure its candidates do not abandon ship, analysts say. And that includes having Panthongtae and Chayika on the electoral ticket. "Without a Shinawatra in the mix, some politicians might pack up and move on because Thaksin and Yingluck remain very popular among most upcountry Thais," said Paul Chambers, a political observer and lecturer from Thailand's Naresuan University. And Kevin Hewison, a noted Australia-based Thai politics researcher, said as the junta has banned images of Yingluck and Thaksin in election campaigning, "Oak becomes the face of the clan". The 39-year-old has one major problem. He is currently facing money laundering charges, which the clan says are trumped up - just like the accusations against Yingluck and Thaksin. Thitinan, the Thai academic, said he didn't foresee Oak playing a central role because of his court case. And even if he did emerge as his charismatic father's true heir during the hustings, it may be not enough, Hewison said. With the new rules, the party is unlikely to capture a majority of the 500 lower house seats, though it may get a lion's share of the popular vote. And that result would render it powerless to nominate a prime minister, as the new rules stipulate that the senate - fully staffed by military appointees - will have a vote in the decision. "It is possible that Pheu Thai may end up the largest party in parliament, but in opposition," Hewison said. There is one major wild card that could help the Shinawatra clan, observers say - the timing of the election. The Shinawatra camp has not been sitting on its hands amid the delay. This week, Thaksin launched a new podcast on current affairs that was widely downloaded - in sharp contrast to a similar programme by Prayuth. Prayuth's government is dithering over the date ostensibly because it does not want the campaigning period to clash with the coronation of King Maha Vajiralongkorn in early May. Prayuth's deputy Wissanu Krea-ngam on Thursday said March 24 was the most suitable date, but the date is not fixed until a royal decree is issued. Further delays could prove the anti-Pheu Thai establishment's own folly. "The longer the junta delays an election, the more its support drains away because Palang Pracharath's pulling power relies on the junta's handouts, and if they dry up, the party is easily forgotten," Hewison said.